It's been about a decade since the promise of COX-2 inhibitors—drugs that relieve arthritis pain and inflammation without the gastrointestinal side effects of other painkillers—was tempered by the realization that they could cause heart problems in some patients. 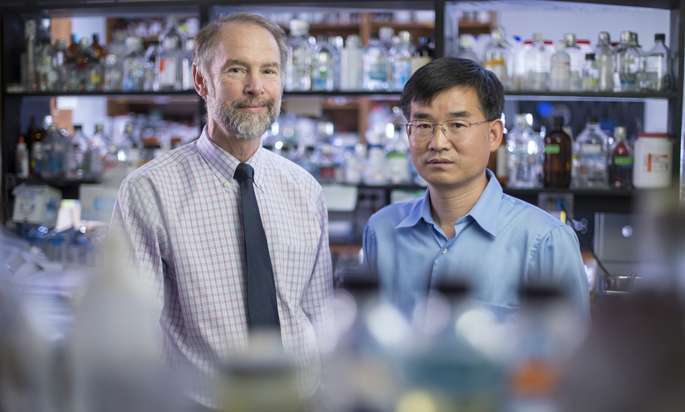 Now a team of Vanderbilt University Medical Center scientists led by Ming-Zhi Zhang M.D., M.Sc., and Raymond C. Harris, M.D., are closer to understanding why. They have found that production of prostaglandins by macrophages may play a role, especially in the kidney and the skin. Their findings, published in the Journal of Clinical Investigation, could lead to development of a new, better-targeted class of drugs that relieve pain without causing vascular effects. Prostaglandins are molecules produced by the cyclooxygenase enzymes—COX-1 and COX-2—that play a role in inflammation, among other wide-ranging effects. Macrophages, a kind of white blood cells, also are involved in inflammation. However, prostaglandin production by macrophages also seems to have a protective effect on heart function, by modulating hyper tension and edema—fluid retention—in response to a high-salt diet. In a study in mice, the Vanderbilt researchers found that when the COX-2 enzyme in macrophages was blocked, and thus prevented from making prostaglandins, hypertension and edema got worse. As researchers understand this pathway better, the hope is that they will be able to develop new drugs to relieve pain and inflammation without affecting the system that regulates blood pressure and fluid retention. That would be closer to fulfilling the promise of the original COX-2 inhibitors.